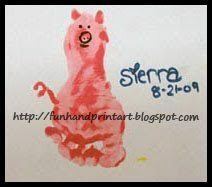 This is a picture of a footprint pig that I helped another mom make with her adorable baby girl. First, I painted her foot pink and pressed it onto the paper. Then, I painted on pink ears and a curly tail. When it dried, the mom added the facial features. 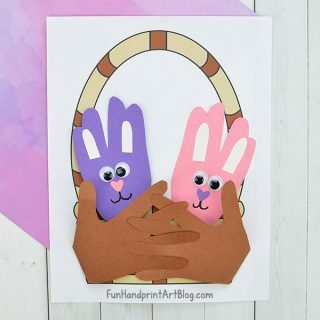 Very simple yet very cute! 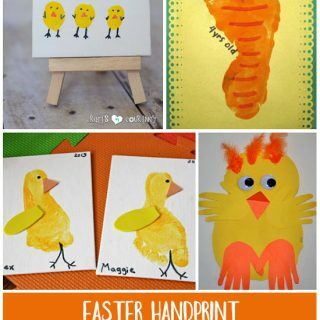 Here is another footprint pig and more handprint farm animal crafts.